Halo: Reach is Bungie's last Halo game after bringing Xbox fans almost a decade of amazing games. Halo, the series, isn't just a series, it is almost a savior to the Xbox. When the original Xbox's sales were in a deep whole, a little game called Halo: Combat Evolved came along and paved the way for the 360, and most importantly, the multiplayer we know and love today. We have all seen the VidDocs on Reach and seen all the vast improvements. Is Halo: Reach everything a gamer would hope for it to be? Click, Click here to read the rest of this article, and find out! 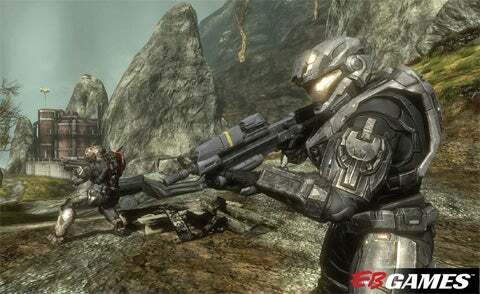 Gameplay: Halo: Reach will not surprise any Halo fans with its gameplay. The game still feels like the same Halo style that everyone fell in love with, but yet feels fresh with things like armor abilities. For anyone who has never played a Halo game (Seriously, if you haven't...wow) but is a fan of other FPS, Reach will be easy to pick up. The control layout has changed since Halo 3, but with the ability to change the button layout, it isn't something that takes away from the game. Earlier this year millions of gamers had the opportunity to try out the Halo: Reach beta, and now that it is launch, you can tell the beta improved overall gameplay. Things like the melee system, weapon system, and spawn systems have all been tweaked since the beta. All these tweaks simply make the gameplay enjoyable. The gameplay is not to hard to pick up on, but at the same time, not to easy that it detracts from the overall experience. Graphics: As Halo 3 rolled out, many critics of the game pointed out that the graphics weren't up to date. When you first fire up Reach's campaign and see the gorgeous backdrops, and the little detail in almost everything, you will see that Reach's graphics are top notch. Everything seems to be sharper and more detailed. One little thing that I saw first besides the backdrops, was how those little annoying grunts were so detailed. Little aspects like this simply make Reach, a top notch game that any Halo, or any gamer for that matter, will fall in love with. Now there have been a few frame rate issues that I have read about, and ran into. Now these issues aren't huge at all, and mostly are caused by the massive amount of carnage going on in the battlefield. Bungie's art directors simply hit the nail on the head with Reach. Presentation: Reach brings you an amazing story of the six Noble Team members, along with stunning cinematics, and top a notch soundtrack that will help you fall in love with the storyline. 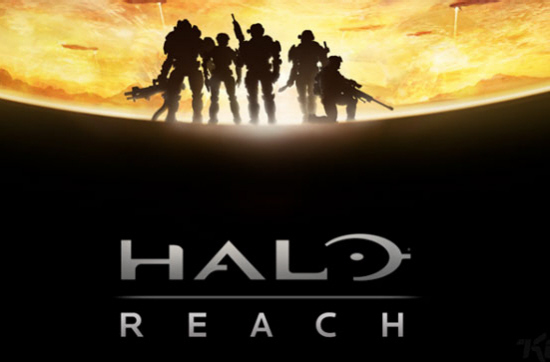 Reach brings you a Halo game that is the simplest to understand, but yet best told. While playing the campaign, you simply fall in love with each character as the story rolls along, all while playing as one character. Bungie has always been known for stunning cinematics along with amazing music, but Reach seems even better than any Halo before. Every cinematic simply brings chills down your back as the story is unfolded in front of you. Like I said before, this is the Halo series we all loved, but Bungie honestly raised the bar for their last Halo game, and did not disappoint at all. Reply Value: While playing Reach's beta, we all knew that Bungie was going to amass a huge amount of game modes and game types, but no one knew the possibilities till Forge World 2.0 was shown off. Forge World this time around, is just...well unheard of. Bungie wanted to make Forging easier, and more available to people who aren�t that creative. The stick layout to Forge is just perfect, and makes what would of been a 5 hour job in Halo 3 Forge, an hour job in Reach's Forge. Multiplayer is better than ever with the ability to find matches according to mics, aggression, and much more. Armor abilities add to the freshness of the game, and with Reach already breaking Halo 3 records, you can tell it will be high on the activity charts for a LONG time. With the amazing ability of custom games, the options are unlimited. Bungie is also clamping down on cheating, leaving early, and teamkilling, which overall makes for a better experience that everyone will love. Halo: Reach is everything a game could want. From stunning visuals to a mind blowing story, Reach is the perfect Farwell that Bungie could leave us with. While some people will go on about the lack of fresh maps on the disc, the ability to make game types just eliminates that argument. Reach is everything you expected it to be, and tons more. Games like these do not come around often so be sure to check this game out! Wow. Someone beat me to it! I thought the exact same thing. Is Halo going the CALL OF DUTY route and making a lame storyline experience and then piling all the work into the multiplayer stuff. It may be my retro blood boiling... but whatever happened to Boss Battles? Okay, they're not really known in FPS games, but there was no point where I thought that this was something amazing, or insurmountable. Heck, half the time I didn't even know (or care) what the objective to each mission was... so... it was kinda lacking. In fairness, there were a couple of noticeable levels - the space level and helicopter levels had a slightly different feel to it. But so should some of the normal FPS levels. I'm bored of climbing mountains and similar looking bases to take on hordes of the same enemy types. Show me a bad guy that I look at and go HOW THE BATSH!T AM I SUPPOSED TO BEAT THAT THING?!. Remember the bosses from Doom? Remember how varied the levels were in Goldeneye? What happened to the creativity of the ill-fated Timesplitters series or Blood?